COMMENT: While cruising in your Volvo may be more expeditious, taking either a guided or self-guided walking tour promises to be both entertaining and informative. Plus you’ll be getting in your daily dose of heart-pumping exercise. Cities large and small across British Columbia –- from Vancouver to Vernon -- offer a variety of walking tours. It’s a fun way to get to know an area up close and personal. Or maybe get reacquainted with your own back yard. Victoria’s Chinatown, the oldest Chinatown in Canada, has been designated a National Historic Site. During the 90-minute walk you’ll visit the site of former opium factories; see a hidden “knot garden”; and walk down Fan Tan Alley where Mel Gibson and Goldie Hawn went on a wild motorcycle ride for the 1990 movie Bird on a Wire. Feeling festive? Check out The Ghosts of Christmas Past – a popular excursion hitting the streets throughout the month of December. Walking on the “wild side” of Vancouver Island proves far more fruitful when you’re searching for something. George Bradd, owner of Just Birding in Tofino, has put together two leisurely walks that are both for you – and the birds. Just three to four hours in length and offered year-round, these outings promise an up-close-and-personal look at the winged creatures who call this landscape home. The Early Bird Walk is just that, early. It leaves at 7:00 am and takes you to Pacific Rim National Park and its abundant waterfowl and shorebird reserves. Plan to see shorebirds, seabirds and forest birds in a variety of habitats. The Shorebird Walk features flocks of black turnstones along with surfbirds and rock sandpipers in the fall and winter; thousands of western sandpipers in the spring; and perhaps a Baird’s sandpiper in the summer. You’ll wander along inter-tidal mudflats and long, sandy beaches, and possibly catch a glimpse of a black oystercatcher. And should you find the shores beckon, there’s always storm watching – one of Tofino’s favorite activities. 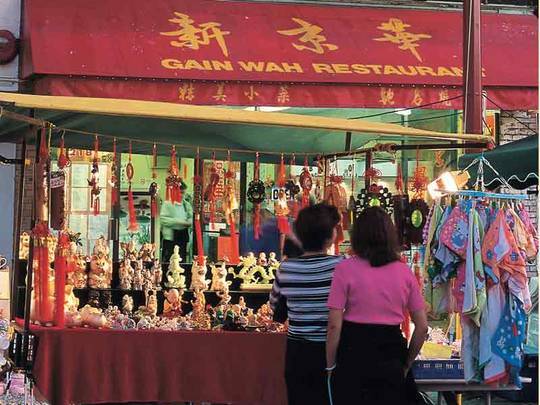 Ever wish you could see the sights and savour the bites all in one walking tour? Well, wish no more. At Edible British Columbia, founder Eric Pateman and his business partner Cecelia Young have cooked up culinary walking tours of Vancouver’s famous foodie districts: Granville Island, Chinatown and Commercial Drive (Italian district). As a tasty bonus, your guide promises to be one of the province’s top chefs. These personalized three-hour tours boast one to six participants and plenty of sampling, whether it’s sipping chai tea at the Granville Island Public Market or daring to taste pig’s ear in Chinatown. You’ll meet the vendors, receive recipes, procure pointers and learn where to shop and what to buy for your next brunch or dinner party. There’s also the option of a Dim Sum lunch at the end of the tour in Chinatown for an additional charge. Murals range from the Vernon Fire Brigade and Captain Shorts and the Crew of the S.S. Penticton to Ogopogo. That’s Okanagan Lake’s mysterious monster which has been sighted since the 1860s. Guided walking tours of the murals are available in July-August, and in the off-season a tour with a “conductor” may be requested. You can also take a self-guided tour with an MP3 player, available for $2 from the Downtown Vernon Association. 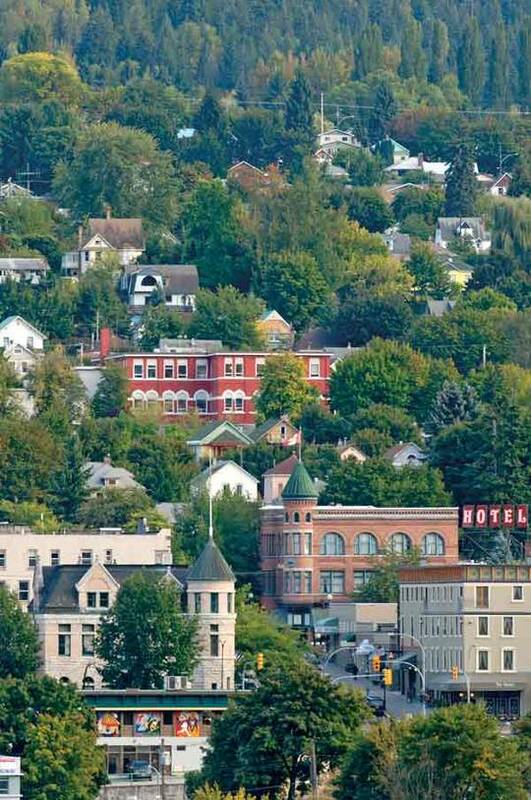 With its 350 heritage homes and buildings, Nelson’s historic charm is everywhere. Situated on the West Arm of Kootenay Lake against the backdrop of the Selkirk Mountains, the city burst onto the scene in the late 1800s as a rough-and-tumble miners’ town. Today, forestry, tourism, culture and the arts are its lifeblood. Nelson boasts a community dedicated to the area’s natural beauty and laid-back lifestyle. A good way to set your sights on the city is by making tracks along the free Heritage Walking Tour. More than two dozen buildings are highlighted during the excursion, including the Nelson Courthouse (1909), built by F.M. Rattenbury (other noted Rattenbury designs include the BC Parliament Buildings and The Fairmont Empress Hotel in Victoria). Another unique bit of sightseeing awaits during the Roxanne Walking Tour. More than a dozen locales from the popular 1987 movie Roxanne are highlighted on a map, including the restored Nelson Fire Hall. But no guarantee that you’ll see Steve Martin or Darryl Hannah – although pictures of the two may be spotted around town. Free maps for both tours are available at the Nelson & District Chamber of Commerce and Visitor Information Centre. If you’re planning a trip, e-mail the Info Centre and they’ll send you one. Whether in search of a deliciously edible adventure, or seeking an outing sure to take flight, BC’s host of walking excursions promise a bit of education and a whole lotta opportunity to explore the province’s surrounds - one step at a time. For more information on other British Columbia destinations and travel information, call 1-800 HELLO BC® (North America) or visit www.HelloBC.com.